It was the night before our big adventure. 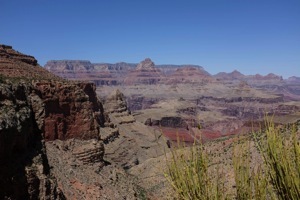 There we were, sitting on the edge of the Grand Canyon, taking in the vastness of the canyon itself. I had examined our itinerary against the map many times and still could not wrap my head around how much of this huge expanse we were to explore — especially now. It was the first time in the 48 years of my life I’d set eyes on it and I was impressed. Scared even. 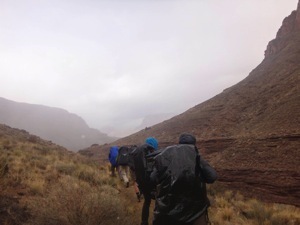 On Day 1 we were to trek down to the bottom of the canyon. If that wasn’t enough, the weather prediction was for rain and snow showers! I’d brought along everything I could think of that could keep me warm in cold temperature but still wasn’t sure it would be enough. I’m a wimp when it comes to cold. California born and raised, and spoiled rotten by our nearly always warm weather. Then there was food. Our information said they would provide us with breakfast and dinner but how much food would be provided was not known. Would it be a 300 calorie allotment? Or more? I wanted to be sure my lunches and snacks would supplement the provided meals adequately. There were too many unknowns and my pack was already getting heavy. We would be given some of the group gear and food to carry. The question was: How much? The participants and leaders met in the market parking lot where our load was inspected and trimmed down to 35 pounds or less. Much of what I had brought with me was left behind. Then, me and 10 other hikers were off for our grand adventure. I hoped and prayed I’d be warm, have adequate nutrition, and was trained well enough to pull me through the trek’s entirety without incident. When my dear friend, Lisa asked if I’d want to join a group of folks she was arranging a whale watching trip for, I jumped at the opportunity. My tendency towards motion sickness took a back seat to my adventurous side (Thank you, Dramamine). 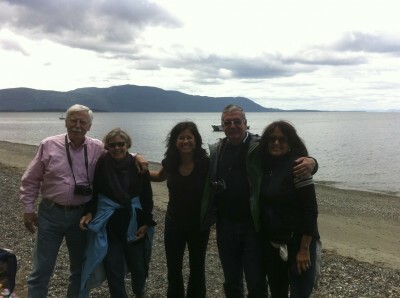 The five of us gathered on shore for our beach pick up, were scooted over to Orcas Island to pick up a family of four. There, we were all outfitted with warm jackets, and given a safety talk. Soon, we were off in our little boat for a big adventure. Bo, our captain/tour guide, was extremely knowledgeable. We stop off shore at a few of the islands along the way to catch a glimpse at sea lions, eagles, and other wild life. We also got a bit of a history lesson on one island where, apparently, 200 wild animals (lions and tigers and zebras, oh my) had been shipped for nothing more than to appease the island’s owner joy of hunting. 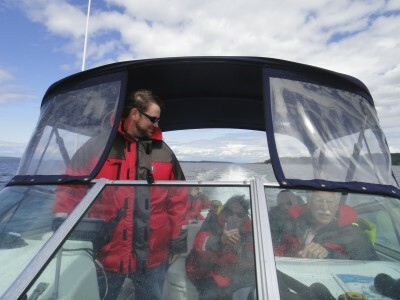 Somewhere between Orcas Island and the Canadian waters, my thoughts drifted off to my stepfather. Whale watching is something that my he had always wanted to do with the family. In anticipation of his grandchildren being large enough to tolerate the trip, he talked about it for many years. Sadly, that trip he dreamed of never happened. Having died just before his 55th birthday, I’m sure that this was one of many things he’d have had listed on his Bucket List (if he had one). It was such a big thing that after his passing, we all considered taking that trip as a way to honor him and possibly to also spread his ashes out to sea. It was no surprise that I felt my stepfather’s presence as we got close to the whales. Last week, I introduced Canvas Prints as a nice way to display your favorite digital images. This week, I have another option for you. Art Prints are fully customizable signs which are made of polystyrene. You can upload a photo of your own, add your own saying, and have them printed on one or two sides. 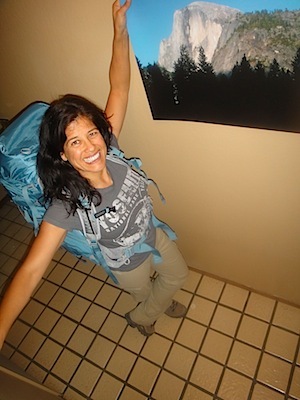 I chose another photo from my Half Dome adventure for this review as well. This image, same as the majority of my photos from this grand adventure, was taken with my iPhone. Consequently, the quality of the image may not have been the best choice for a print of this size. In spite of the quality of the original image, I was very pleased with the results. The stiff, plastic like material is an interesting change from the traditional photo paper print, and the texture of the ink on the polystyrene has a look and feel similar to how I imagine an oil print would be. Of course it’s so great to see my very first view of Half Dome in print. All the excitement comes rushing back.